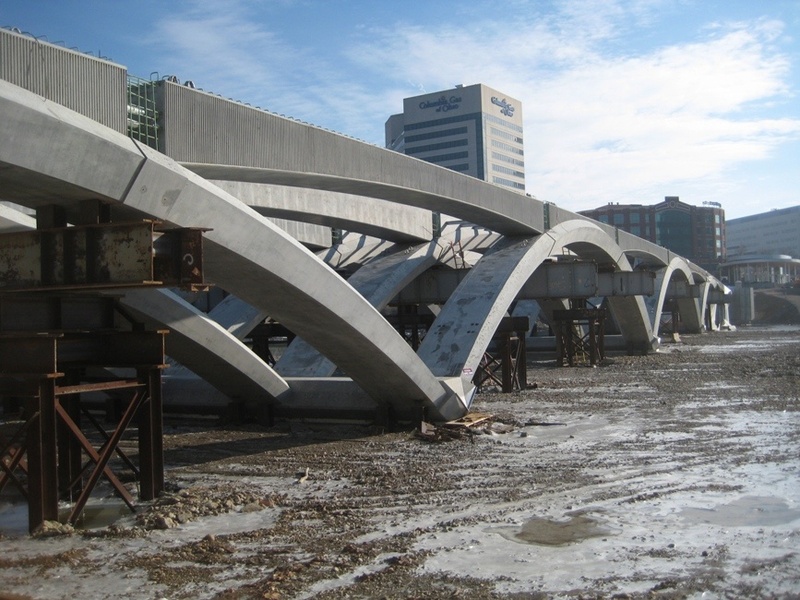 Replacing a deteriorating historic concrete arch bridge built in 1917, the new Rich Street Bridge is a modern post-tensioned, precast open-rib arch concrete arch bridge composed of five spans, 10-foot sidewalks, and three traffic lanes. 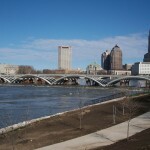 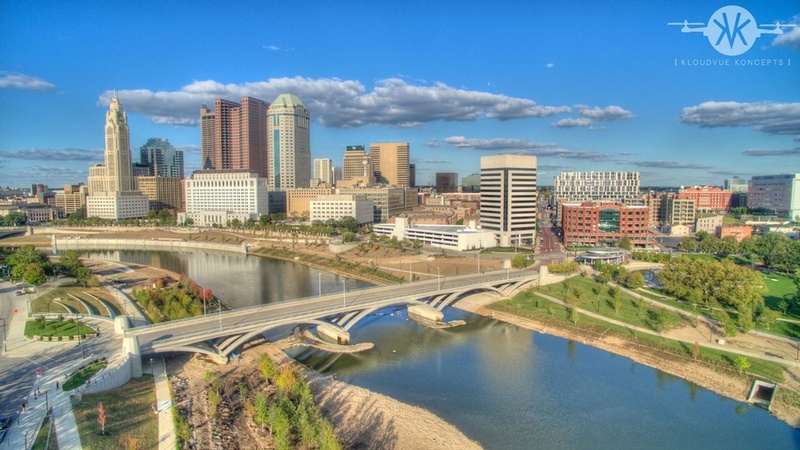 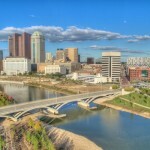 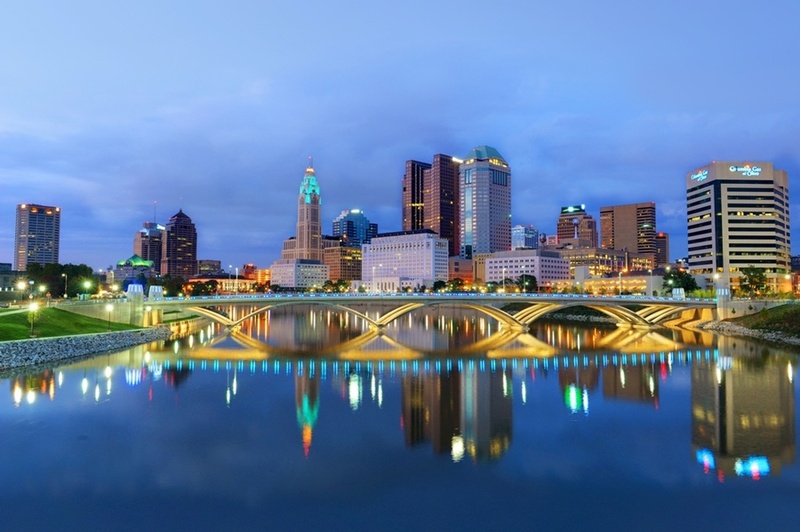 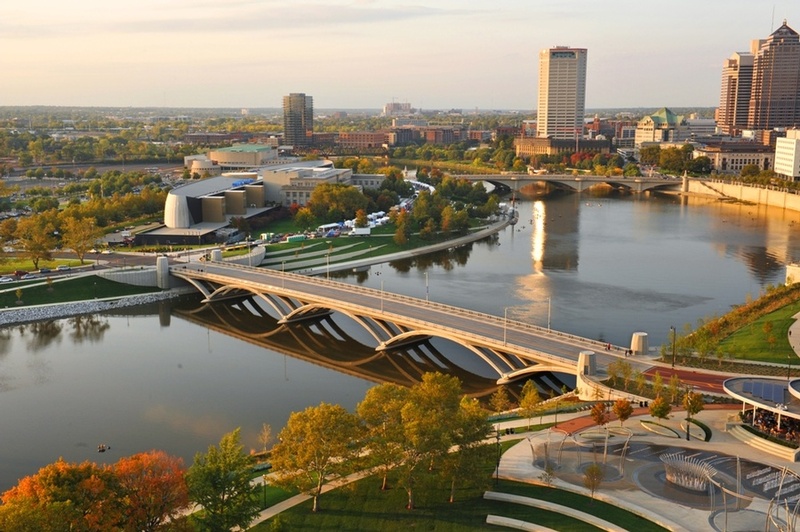 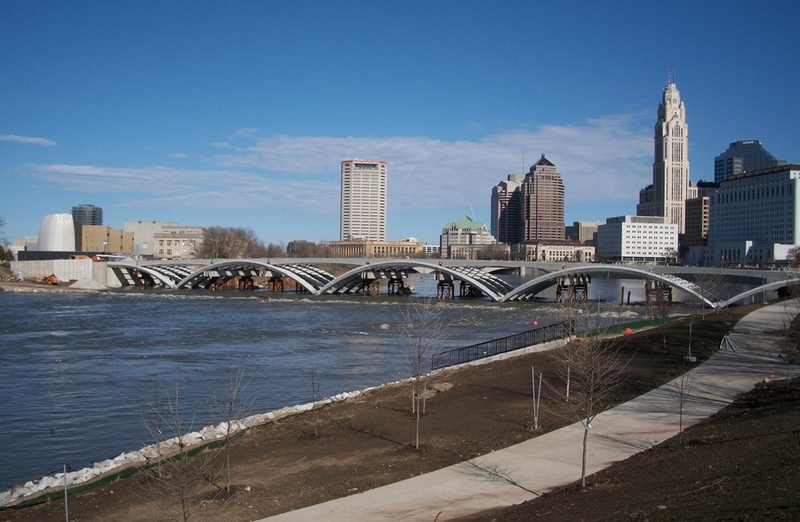 The bridge was built on a new alignment to connect Rich Street on the east side to Town Street on the west side of the Scioto River. 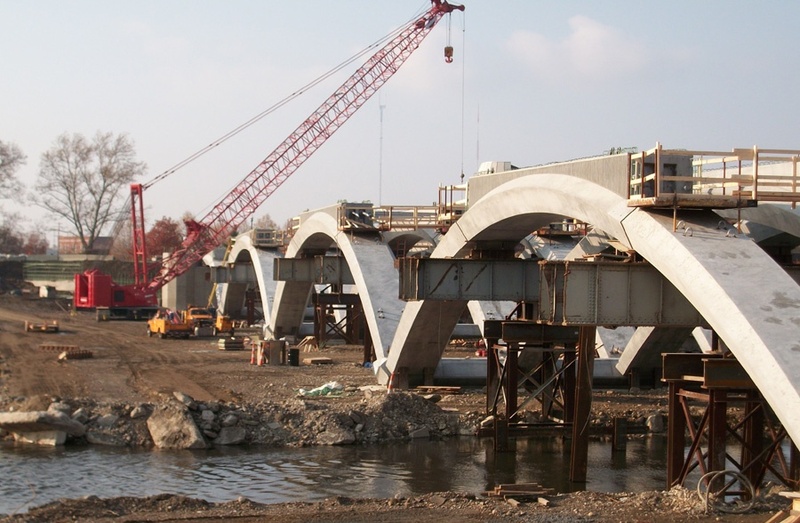 The bridge is a 5-span (75’-3”, 135’-10”, 139’-10”, 135’-10, 75’-3”) precast, post-tensioned arch bridge with a total length of 562’. 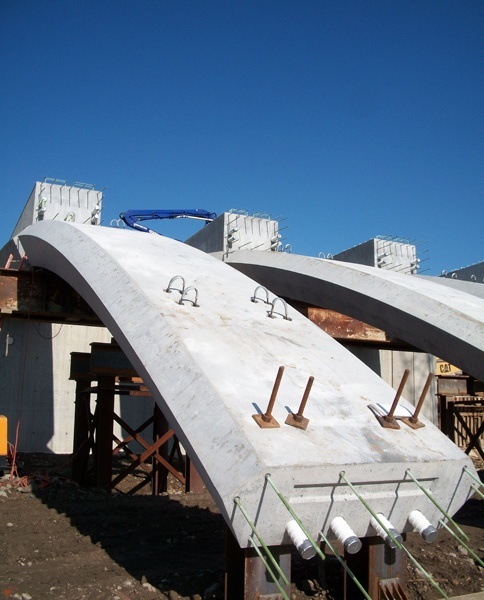 All bridge components of the arch bridge are precast and post-tensioned. 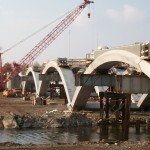 The construction of this unique arch bridge was complicated due to the erection and temporary support of the arch segments which must accommodate the highly variable geometry and inclined forces. 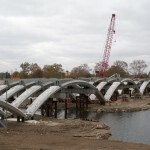 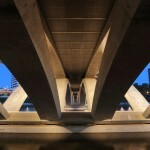 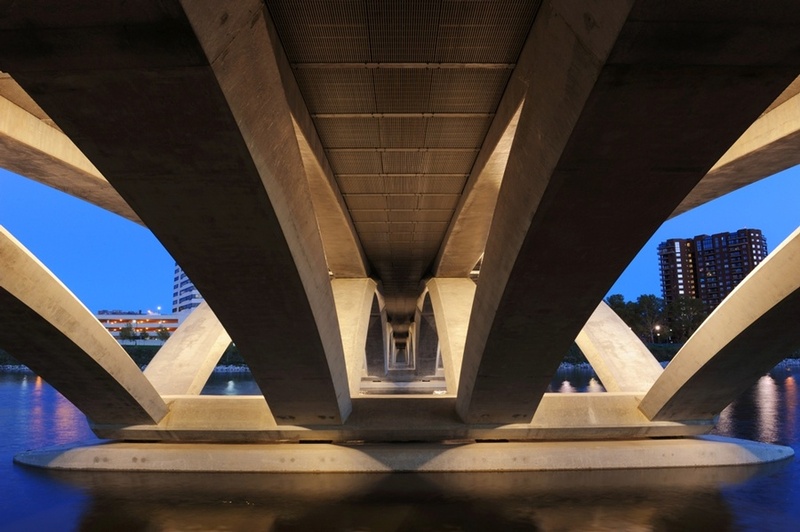 The construction method also required a staged post-tensioning scheme to be developed that supported the large deck precast beams and maintained the stress levels in the arch ribs throughout all construction phases. 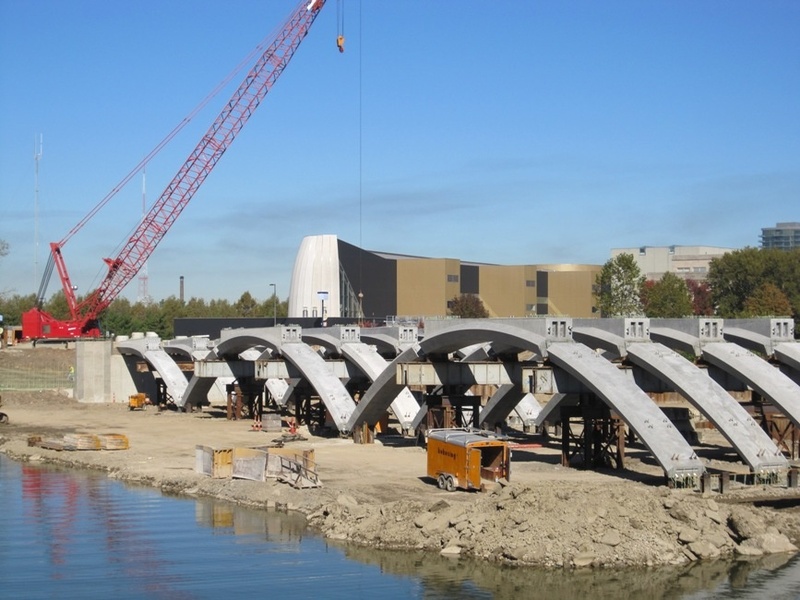 FINLEY provided construction engineering services and worked closely with the Contractor’s staff engineers to develop the falsework support system and integrate the support conditions into the construction analysis. 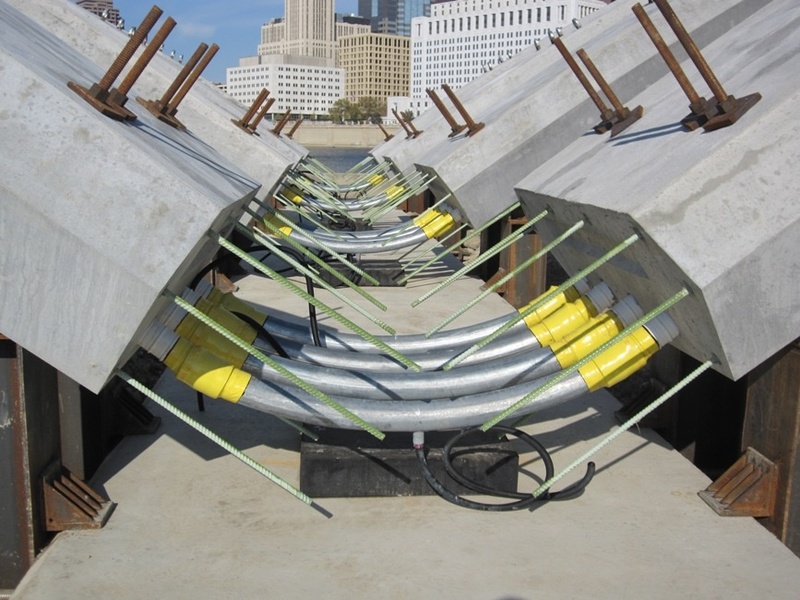 FINLEY also performed an evaluation of the intermediate temporary support foundation stiffness, which included a parameter study to ensure that the bridge structure could be erected within a range of anticipated foundation stiffness. 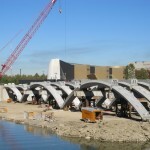 The change to precast concrete ultimately shortened construction time by seven months and reduced estimated project costs by $10 million. 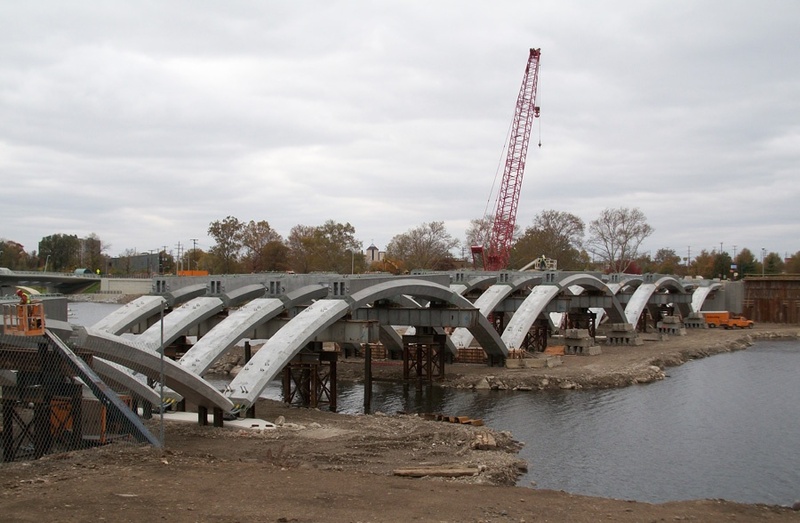 The precast arch bridge was designed with a 100-year life, and epoxy-coated reinforcing steel was used within the structure to facilitate this requirement. 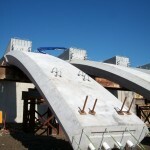 Additionally, the cast-in-place deck was overlaid using a 1-1/2 in. 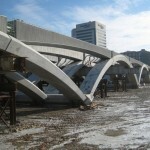 micro-silica modified concrete overlay. 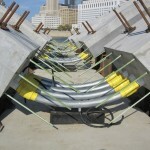 Details at Epoxy Interest Group. 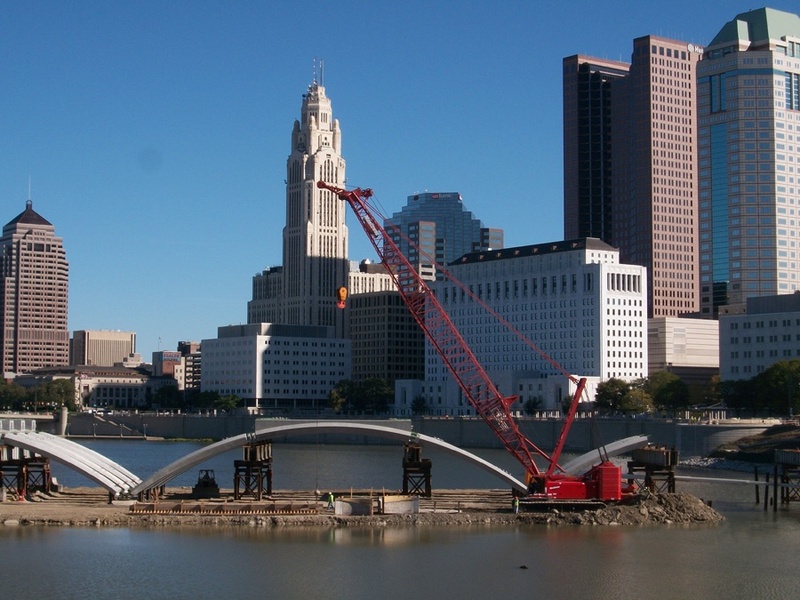 Completed bridge and arch construction photos credit Randall Lee Schieber Photography.